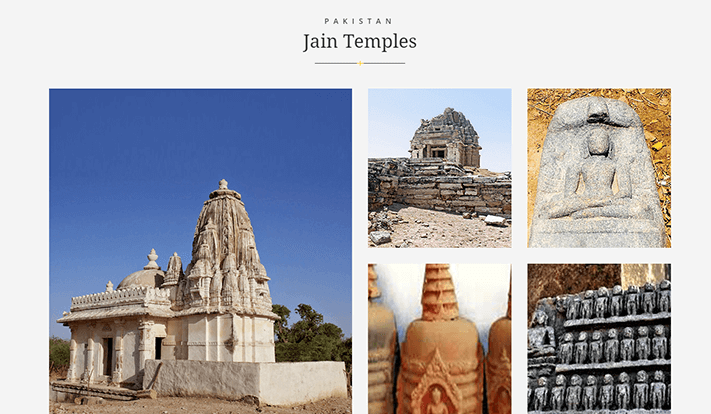 Pakistan Jain Temples is a not for profit venture that comes under the Premchand Manaji Trust. 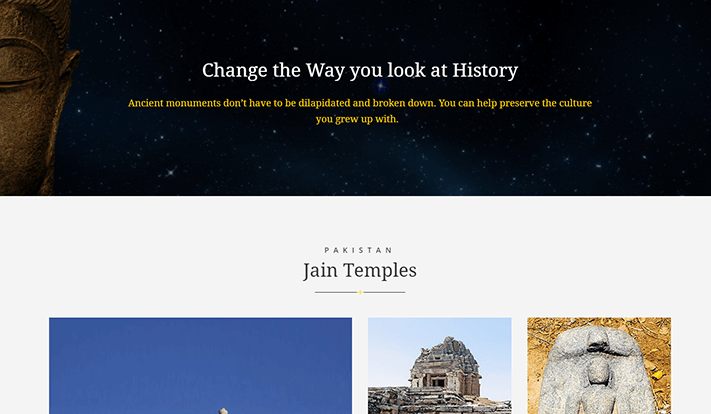 Its noble aim is to restore all the Jain Temples located in Pakistan, and help historians with detailed studies, documentation, and restoration of these religious shrines. 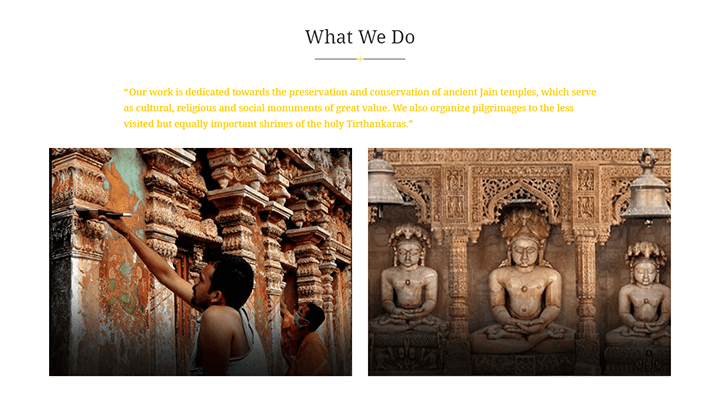 Functioning as a group, they work to preserve the culture and monuments associated with Jains. 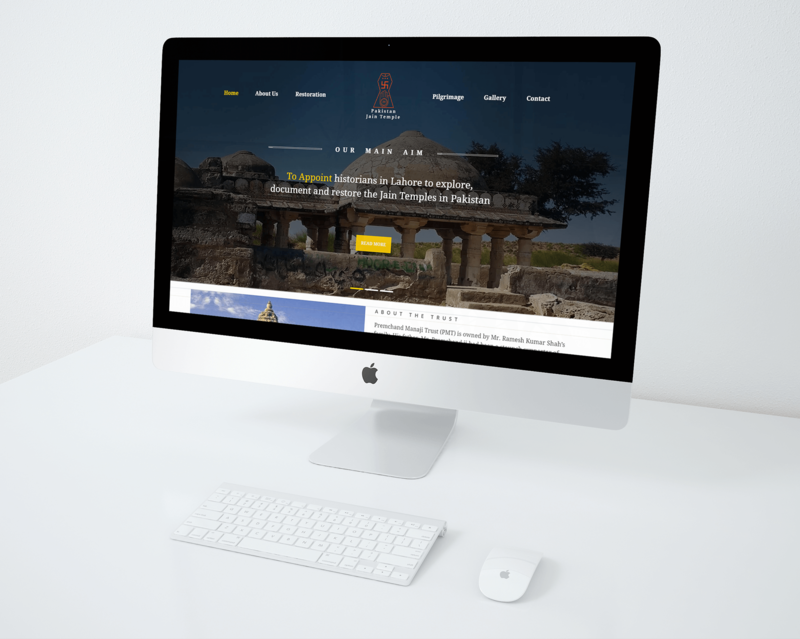 With a minimal brief and no references, we were unsure at the start but got into the groove once we had established the motive of the website- to educate people about the less visited shrines in Pakistan and keep them updated on the progress made in restoring them. 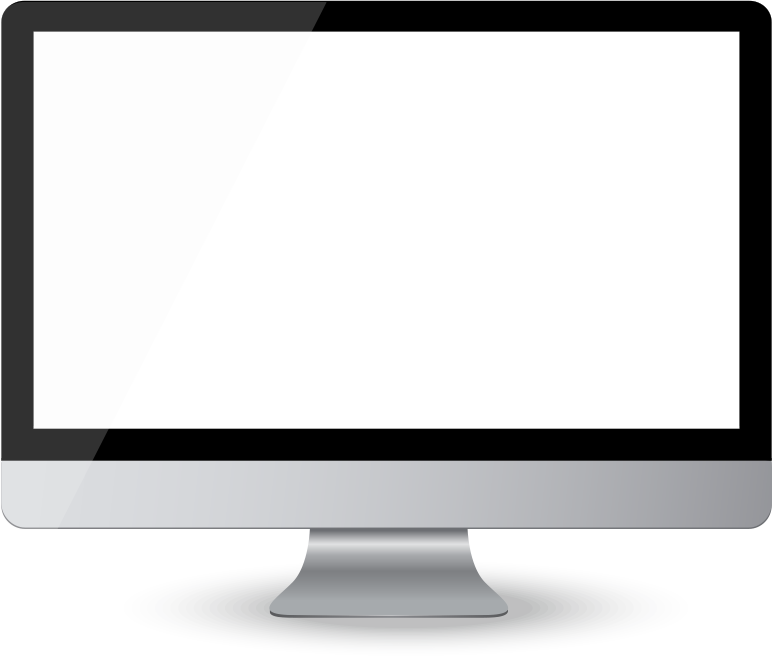 We opted for a modern look for the website, with strong messages to capture the attention of the viewers and also to establish capability. 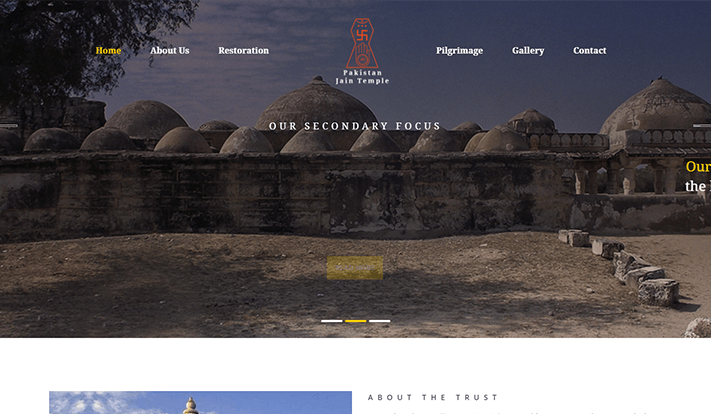 Images showcasing the sad condition of beautiful temples and the effort put in to improve their condition were used to build an emotional connect and drive people to take action.